First there’s rain and then there’s snow. Which one is my favorite scene? As I’ve written before, with Shirlee being bedridden with the last stages of her lung cancer, there isn’t much time for photography and that is okay with me. She comes first in all my day-to-day activities and that is the way I want it. I have learned so much from her, she taught without teaching. She has been so supportive of my photography, my music and my writing. She has given constructive criticism when it was called for and praise when she felt I deserved it. Did I always like the criticism? Of course not! There were times we had long, sometimes loud discussions on the subject. But in the end, after I became objective, she was almost usually correct. And knowing she was only trying to make whatever I was doing better, the times of praise were even more special. So what does all of that have to do with changing seasons, you ask. Just this, like the changing of the West Michigan seasons, so too is the changing of life. The Spring, The Summer, The Fall and finally The Winter. All different, all bringing disappointment and hope mingled together. Like the old question, “Is the glass half empty or half full?” so is our view of these changing seasons. How we look at them will determine how we feel about them. It will not change the actual happenings, but it will change our perspective. And our perspective is what determines our reaction. And so it is with what’s going in in our lives at the moment. Each day that Shirlee is physically in my life is a day to cherish in so many respects. But the days she suffers with her pain and breathing problems cause me to ask myself, “Am I being selfish?”. I don’t want to see her suffer, but on the other hand it is hard to let go. But letting go is what I need to do. She is at peace with the future. She and I both know we’ll be together in Heaven someday. She’s probably just going to get there first. And when I accept that and she knows it’s okay to go, then our lives are in harmony. Our feelings and perceptions are aligned. Our love is forever true. So, whether I take photographs now is not important. By spending my days and nights with her I am making memories of our time together that will last forever. And aren’t they the best photographs of all? 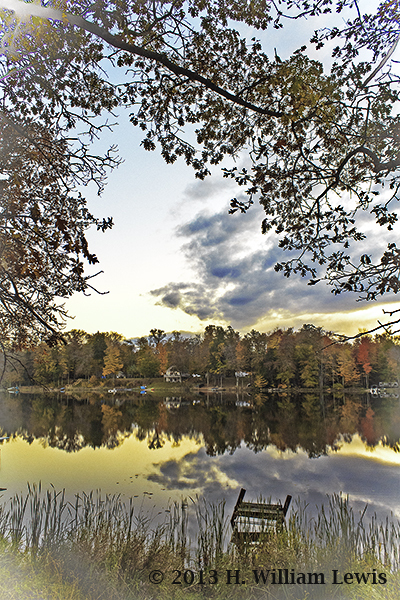 As I sat on a neighbors dock watching the sunset tonight I noticed its reflection in the lake. 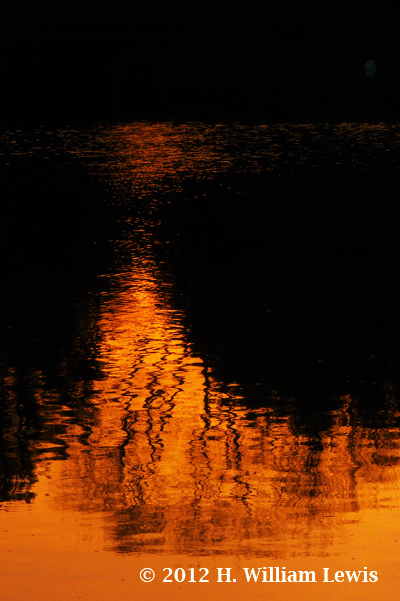 When I first went down to photograph the lake it was calm and the reflections were totally lifelike. However, after about a half-hour a breeze began to blow and the ripple effect made the reflections distorted and not quite so lifelike. That got me thinking about me, both as a person and as a photographer. Everyone casts a shadow or a reflection. People see us not only as we are, but something more than this visual image gives them an impression, rightly or wrongly, of who or what we are. Is my reflection like the one when the lake was calm, or has it been distorted by the winds of adversity that blow in my life. Am I able to stay calm and project that calmness even when things aren’t going all that good? And what about my photography? What does it reflect? I would hope that people see the passion, the thought and the love of nature that goes into each image I set before them. Not only in the subject matter, but in the mood it reflects. I want the mood or reflection to be one that is not distorted by sloppy workmanship. I would like the image to reflect my desire to present something that speaks to the viewer clearly and invokes in them a positive response. Does each image I produce fill that goal? I’m sorry to say probably not. 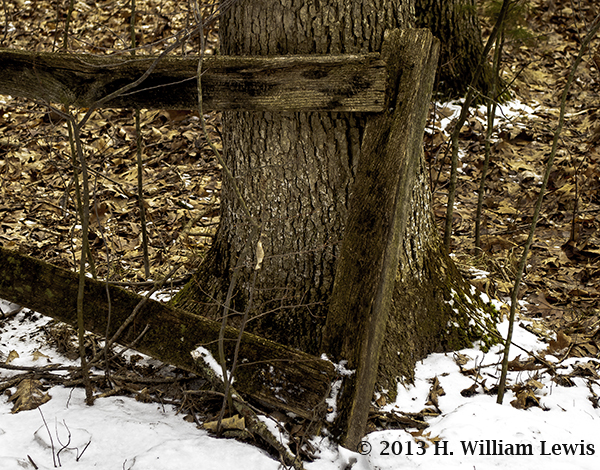 But as I press forward with my photography I am striving to make each image a little better than the one before. That’s my goal. And reasoned among themselves that their woods did not seem right. 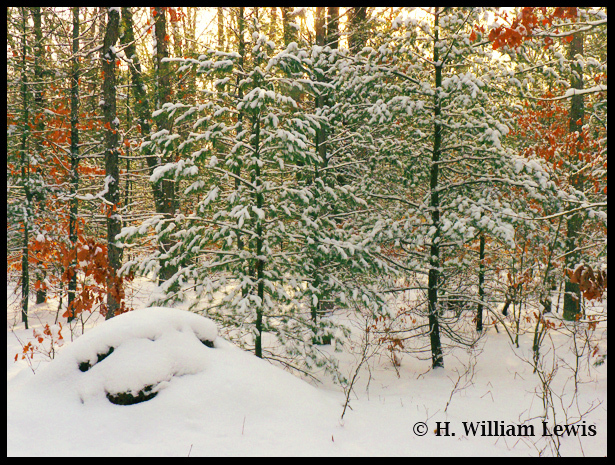 And waking in the morning we found our woods was bathed in white. Where brown leaves and bare branches were just a day ago. They now were coated all in white, a sweet, soft winter’s glow. Like the stick version of the Canadian Goose in the photograph, the New Nature Photography Website is ready for takeoff. 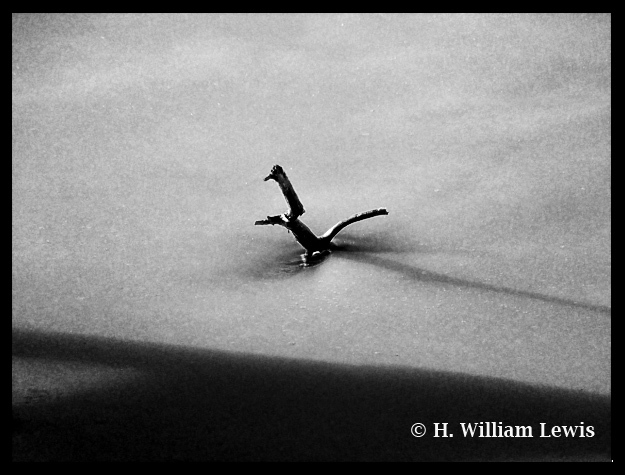 Go to http://www.naturephotographybyhwilliam.com and check it out. There are links to visit the Gallery and check out the images that are for sale. You can follow us on Facebook or Twitter or check out some info on the photographer,me. It’s all there.